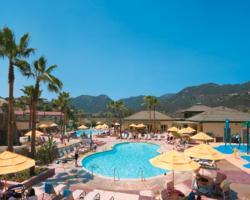 Welk Resort - Villas on the Green Resort resales, save 50% or more, golf vacations, timeshare resales. WANT TIME AT ALL THE WELK RESORTS WITHOUT EXCHANGE FEES? CAN BE USED AS TWO ONE BEDROOM WEEKS IF DESIRED. MOST TIMESHARES AT VILLAS ON THE GREEN ARE FLOATING. CLOSING COSTS ARE $395 PLUS RESORT TRANSFER FEE OF $250.